Hotel SEZZ Saint-Tropez is a luxury Saint-Tropez hotel situated by the sea. There are many great attractions nearby, including Saint Tropez Citadel, La Maison des Papillons, Musee de l'Annonciade and Pampelonne Beach. Les Salins Beach is close by as well. This Saint-Tropez hotel has its own restaurant serving breakfast, lunch and dinner where you will find a selection of items to try. There is also a poolside bar and a bar/lounge so guests can sip a refreshing drink by the pool or indoors. Whether visiting France on holiday or for work, make sure you take time out to de-stress as you can find a full-service spa, massage/treatment rooms, a spa tub and a steam room on site. 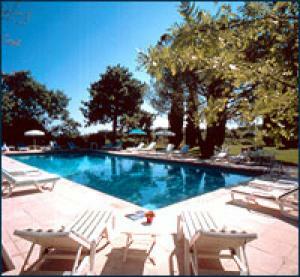 Be sure to leave some room for your swimsuit as this hotel features an outdoor pool, a nice way to unwind. Multilingual staff are available at the front desk 24 hours-a-day and can provide concierge services. Free wireless Internet access is provided so you can check your in-box whenever you like! If you need to work while away, then this hotel offers computer rentals. This hotel offers complimentary on-site parking and there is a valet service too. Other amenities include an area shuttle, dry cleaning/laundry services, complimentary newspapers in the lobby, air conditioning in public areas and currency exchange.